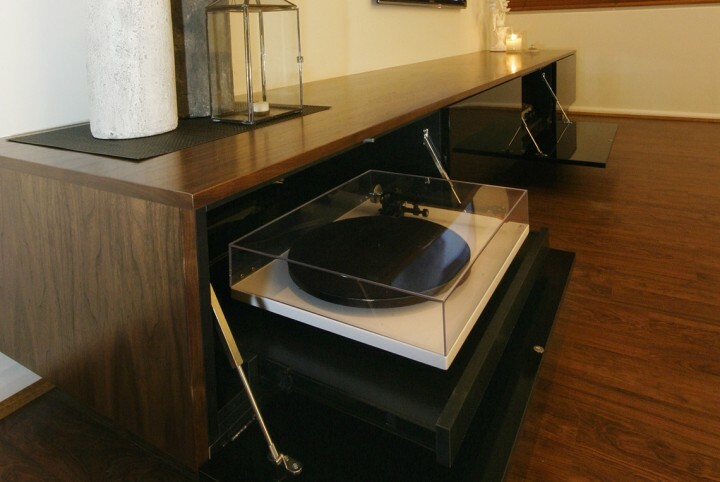 Unique ‘step’ entertainment solution, crafted using Victorian Ash and teak stain. 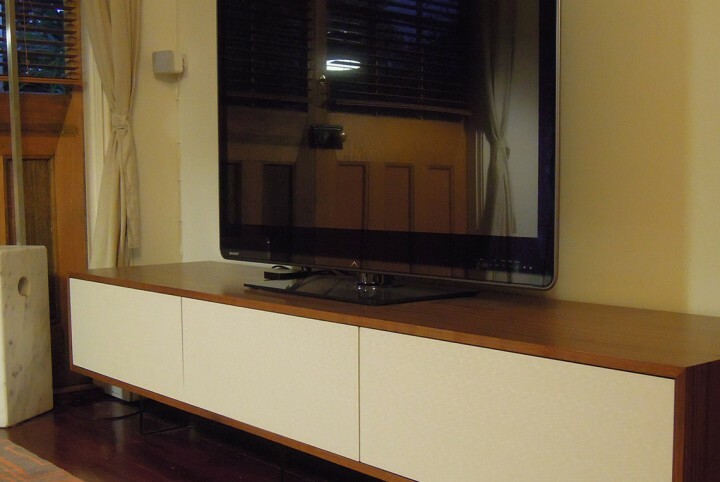 The Victorian Ash timber with a teak stain compliments the off-white two-pack drawer fronts. 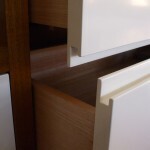 The drawers feature finger grooves – a simple and effective design feature. 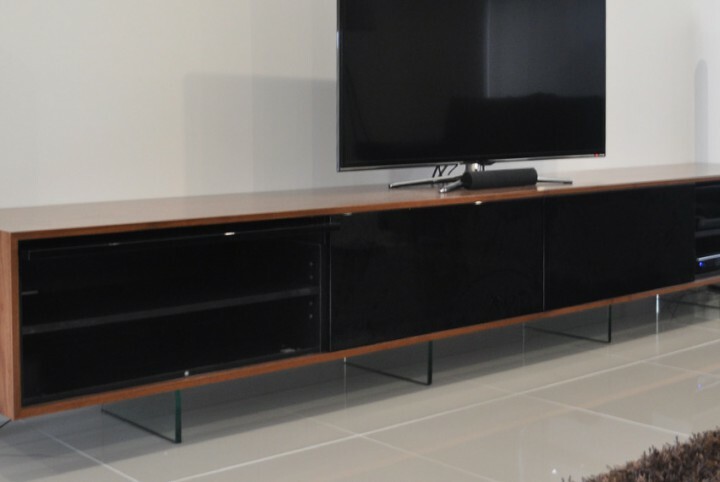 The client worked with Zokk furniture to achieve their design vision of a unique design with thick, chunky panels. 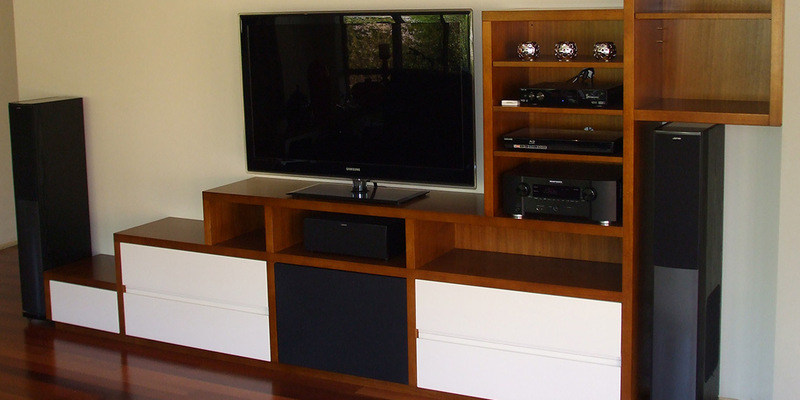 The initial problem was housing a hi-fi system containing a lot of components and cables, without taking up the whole wall. 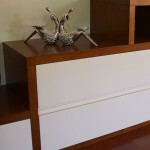 The solution was a design that was simple yet effective, achieved with a unique step design. 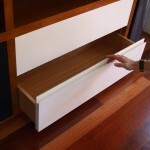 This enabled the equipment to remain exposed at the same time as concealing CDs and DVDs within storage drawers. 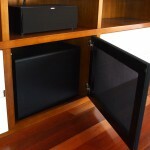 Another door built from black speaker fabric with a push-open mechanism hides a sub-woofer speaker. 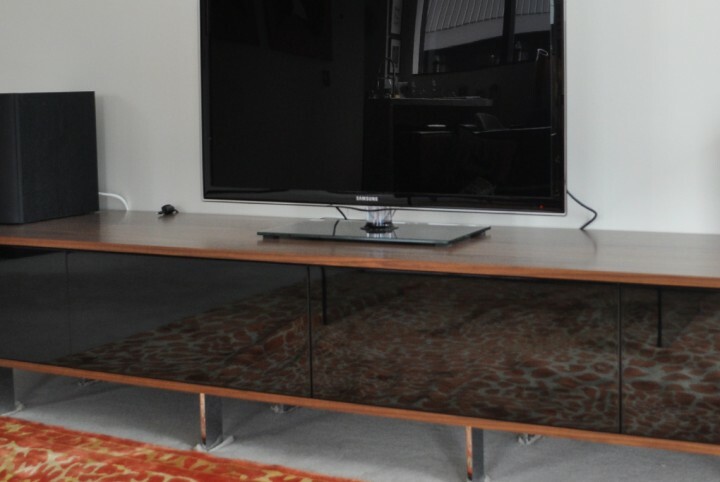 Cords and wires are also cleverly hidden behind the unit.